A KILLALOE couple have embarked on another planning battle opposing a new housing development near a former ghost estate where they were “locked out” of their home for eight years. Michele Burke and William Buck have requested An Bord Pleanála to overturn Clare County Council’s planning approval to construct one block containing two semi-detached houses, boundary treatments, connection to necessary services and infrastructure at Ard na Deirge, Knockyclovaun, Killaloe. A few years ago, they lodged their first appeal with the board after AIB were granted permission to construct two houses, along with retention and completion of 25 houses, estate roads, boundary treatments, street lighting, entrance from public roadway and all associated site works at Ard na Deirge. Although the board upheld the council’s decision to grant planning permission, it modified the planning conditions, which included a requirement to finish off the connection of public services for house purchasers who couldn’t access their homes. The couple paid a booking deposit on a house at Ard na Deirge, Killaloe on September 7, 2006 and were about to move in December 2009 when a receiver from KPMG was appointed by AIB, after the original developer ran into financial difficulties. The duo were joined in the frustrating “development limbo” by John Ryan Senior and John Ryan Junior, who were also unable to take up permanent residence in two other nearby houses, in spite of obtaining full title deeds. They also had to endure the difficult financial scenario of paying almost €1,400 on a mortgage and rent every month for more than four years after they were “locked out” of their house, before they finally moved in in September 2014 after a new developer completed roads, footpaths and services in the estate. 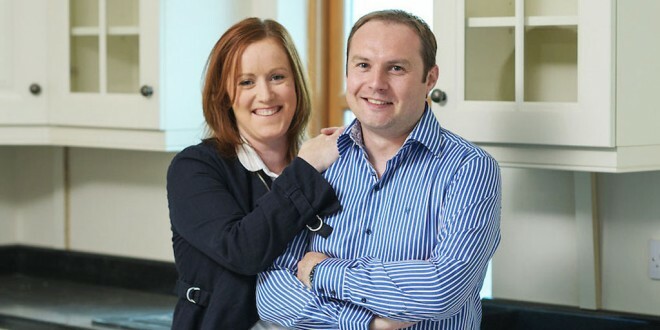 In their appeal, the couple explained they reside in phase one of the Ard na Deirge development, which was a “well drawn-up and thought-out housing development with an agreed numbering system of 1-30 for each of the houses within”. They stated the addition of two houses in the estate directly across from their own house would impact negatively on the development, as it was never part of the overall development and would result in a negative visual impact from their house. They warned the numbering system in place in the estate doesn’t take into account these two houses and will lead to confusion within the development. They stated the houses would also result in “over-development” in their phase, which would impact negatively on the development as a whole. “An additional concern now relates to the legal interest declared by the solicitors for ODM Properties, whereby they state they have reserved rights over the lands at Ard na Deirge, Killaloe. “We have also attached a copy of the PRA map, which highlights the site on which the applicant has declared legal interest and the folio mentioned is not mentioned on the declaration of legal interest presented by the solicitors for ODM Properties. “We also enclose a copy of the folio of the roads in the estate and we can’t see any rights across same in favour of the applicants’ lands on that folio, so we believe that they don’t have sufficient legal interest in the access lands,” they stated. They expressed concern that the proposed development could hinder or delay the public taking-in-charge process by Clare County Council, considering the overall development is almost complete and could also result in significant damage to roads. They noted recent planning approval to finalise 30 houses required that all works access not traverse the existing roads and stipulated that a temporary access from Hill Road was required. Commenting on the first planners’ report, which recommended that granting permission would be contrary to the proper planning and sustainable development of the area, they agreed with their recommendations. This report stated that the location of the proposed dwellings would constitute “haphazard backland development” and stated the applicant hadn’t demonstrated sufficient legal interest to enable them to carry out the works to the adjoining road network to service the proposed site. A second council planning report pointed out the details submitted by the applicant outlined they have legal interest concerning access arrangements to the site. “The site is zoned for residential development and the estate has, until recently, been unfinished. I consider the principle of development would be acceptable. It may be appropriate to re-sit the dwellings, parallel to the eastern boundary of the site. This would obviate the overlooking issue. “Having regard to the above, I consider the development would be acceptable in this instance,” stated a senior planner.